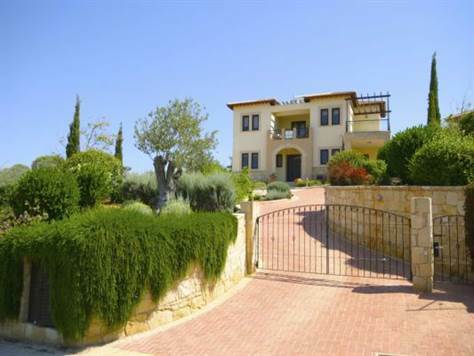 Aphrodite Hills, Kouklia - This beautiful three bedroom, four bathroom detached villa on the Eastern Plateau of Aphrodite Hills commands panoramic views from the top of the resort. The cul-de-sac location is perfect within the resort and it is also convenient to both Paphos airport, Paphos town, Limassol and Pissouri. Please refer to MLS#: 1389 when inquiring.